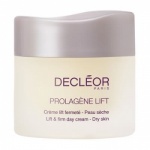 Decleor Prolagene Lift - Intensive Youth Concentrate contains the highest concentration of the remarkable L-PROLINE Complex to reactivate collagen synthesis, reorganise, consolidate and tighten the dermal mesh. 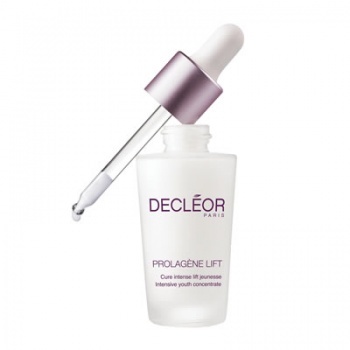 It acts like a real 'cell lift'. 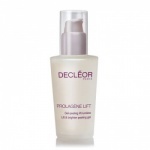 An enriched formula of 3 active ingredients combined with Decleor's unique 'Lift Jeunesse Complex'; an exceptional formulation that acts on skin's surface to provide immediate lifting properties.ther key active ingredients include Iris Essential Oil to boost and protect the skin’s elasticity and suppleness, Hyaluronic Acids to fill in wrinkles both on the surface of the skin and deeper down, and a botanical tensing agent and micro-algae to tighten and smooth the epidermis. With no colouring agents or mineral oils, this gentle yet effective formulation is ideal to use on all skin types, including those with sensitive skin.Use as an intensive 3-week rejuvenating treatment alongside Aromessence™ Iris Super Serum and Aromessence™ Iris Night Balm. After just 21 days, clinical experts verified that skin is 41% firmer*.